LISTEN NOW! Prophesy is the news in advance, God revealing what is to come in the days ahead. In a past interview with Jim Bakker and David Wilkerson, startling warnings that were shared are being realized in today’s realities. Wilkerson shares about repeated encounters from the Lord and what he was shown in regards to drought, earthquakes and such devastating events that were coming to the Earth. At the time of sharing these, many did not receive his words. “I believe judgment is suspended over America right now…” Wilkerson stated. Now is the time like never before to be bold witnesses for truth in love. Ezekiel 3:18 reveals a sobering reality of how we are to respond to these truths, “When I say to a wicked person, ‘You will surely die,’ and you do not warn them or speak out to dissuade them from their evil ways in order to save their life, that wicked person will die for their sin, and I will hold you accountable for their blood.” Since we are aware of these coming realities, it us for us, as the church to speak up. If there was ever a time for events such as these to be happening prophetically, it’s happening now! Hear the full interview of what David Wilkerson shared, how these words line up with the realities of today, what we as the Church must do, and so much more. Greg and John shared in this segment. 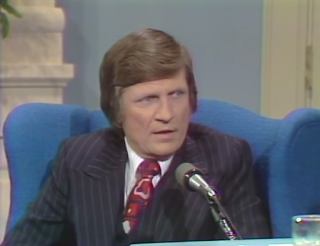 WATCH: Are David Wilkerson’s Prophetic Warnings Coming to Pass Right Now? Bike Gangs Shootout 9 Dead 170 arrested; was this Violence Prophesied and is there more to come?